U N I V E R S A L L O V E: Business opportunity. Do you agree with me that business is opportunity? We see business opportunity everywhere but we do not take it as business opportunity because of risk factor. Here I am presenting you business opportunity! I am looking for a major movie production house for two of my fiction “Eternal Love sci-fiction and Broken Heart” Horror for 3D movie. ‘Eternal Love’ can be made with moderate budget and for high budget also. Same fiction can be presented in three different versions. Even though the story remains same, the difference is in presentation . ‘Broken Heart’ should be made only in 3D. It can be presented in two different version one for Indian audience and the other one for global audience. Advantage of making ‘Broken Heart’. 1) Movie will run on the strength of story, CGI, graphic and presentation. 2) Star value is not required. 3) Only sixty to sixty five percent of the movie will run on 3D. There is no point in showing family life, love and romance in 3D unless it is a fairy tale. 4) Since ‘Broken Heart ‘should be made only in 3D there is no need to worry about video piracy or illegal DVD movie sales. 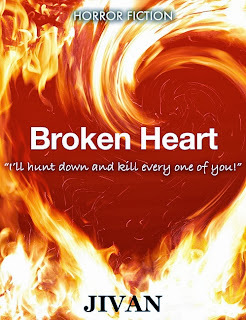 5) Movie version of ‘Broken Heart ‘can be made for Hollywood version or for Indians. Here is log line and short synopsis of two of my fiction. Broken Heart. Horror. Copyright registered. A young married couple from New Delhi decides to spend their honeymoon at hill resort Kodaikanal in Tamil Nadu. Near the suicide point at about 8.30 P.M. in the pouring rain her husband was brutally beaten to death and his young wife gets gang raped and murdered. They burnt the body of husband and wife so that there is no evidence. Only husband alone comes back to life! Out of ten million people in Chennai city he will have to hunt down and kill each one of the perpetrators of crime in a gruesome manner. What makes this fiction unique? The special appearance, character and special power given to her husband make this fiction interesting. Eternal Love Sci-fiction love story. Log Line: A young lover was brought to life with futuristic technology on A.D 2030 and he falls in love with the same woman! 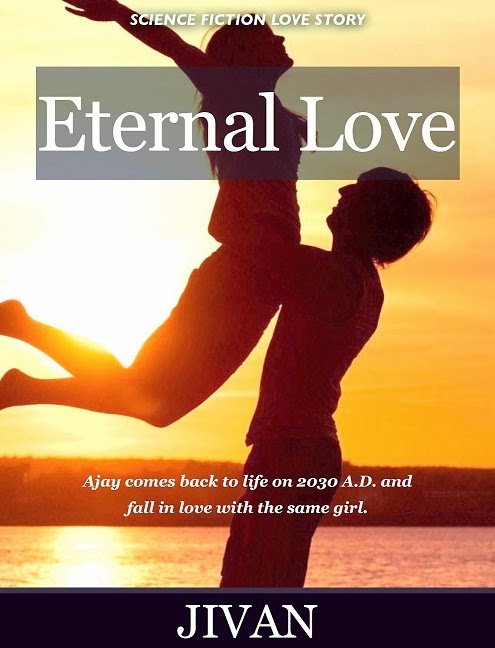 Read four chapters of Eternal Love here. N.B:If you want to make movie out of my fiction I have few pre conditions for you. You will have to sign my ‘writer and producer’ agreement copy. 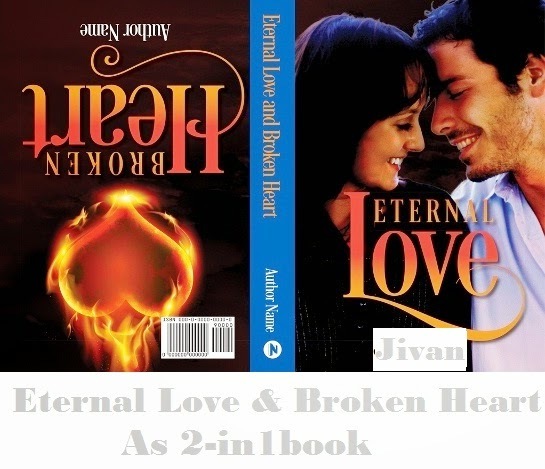 1) Movie version of ‘Eternal Love’ or Broken Heart’ written by Jivan on title. 2) If you want me to work as creative director for movie version for FREE, on title ‘Creative director’ Jivan should be mentioned. You have to provide me free travel, food and accommodation. In return I will help you to set my fiction in your choice of country, assist director, CGI; VFX artists help design sets and title of the movie. 3) You will be allowed to make movie version of my fiction in any ONE of the language ONLY. You will be allowed to use sub titles in as many as languages you want. You do not have to pay me royalty. You can sell DVD movie, pay per click or even for TV channels. VERY IMPORTANT: THIS AGREEMENT IS NOT VALUED UNTIL AND UNLESS YOUR CASH OR DEMAND DRAFT IS NOT CREDITED IN MY BANK ACCOUNT. Only genuine major movie production house can sent request letter for full manuscript of Eternal Love or Broken Heart . If you are having a major movie production house and interested in making movie out of my fiction you can write to me. I N D I A.